Grew up… in Brooklyn, N.Y., where he worked his way up into the highest ranks of the Lupertazzi crime family. 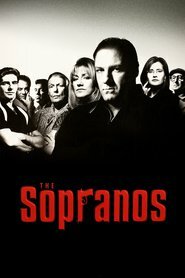 John Sacrimonia, or “Johnny Sack” to his friends, is one of Tony Soprano’s generation of gangsters, struggling to find a balance between the old ways and the new. Living… in New York, but Johnny Sack is thinking about getting some property out in New Jersey. Now that John has made a name for himself, he can afford to pay for a nice slice of the Garden State. Profession… technically, the “waste management” business. But he gets most of his earnings from his positions as underboss of the Lupertazzi crime family. As Johnny puts it, “I’ve been accused of being part of a certain Italian-American sub-culture.” (Yes, the Mafia.) Johnny Sack is in a similar position to his Jersey friend Tony Soprano of the DiMeo family: calling the real shots despite being officially second in command. Interests… nice cars, nice clothes, and, especially, smoking. Johnny is almost never spotted without a cigarette. Maybe the habit helps him stay calm, which is one of the reasons he’s risen in the family, but it certainly won’t help his long-term health. Relationship Status… married. John’s wife, Ginny, is significantly overweight, which the family is very sensitive about. Whenever John hears about someone disrespecting his wife’s size, he gets very angry. He once demanded of his boss Carmine, “A room full of guys making fun of my wife and you’re not gonna let me deal with this?” Defending Ginny’s honor is perhaps the only thing that might make the typically disciplined Johnny act rashly and violently and outside the chain of command. Challenge… protecting his business interests in New York and New Jersey while maintaining peace with Tony Soprano’s crew. Johnny sees peace as the key to success for everyone, unless he catches a rival crew failing to honor its agreements. The way Johnny sees it, as long as families can respect each other, there’s more than enough money to go around. But that means keeping hotheads in line no matter which family they belong to, which is often easier said than done. Personality… level-headed and loyal to both his “families.” Though despite his peaceful persona – by Mafia standards at least – Johnny can be as manipulative as the next mobster. He’s capable of infiltrating the Soprano family using gossip, flattery, and hearsay, rather than with weapons. John Sacrimoni's popularity ranking on CharacTour is #4149 out of 5,000+ characters. See our top-ranked characters and read their profiles.